However, many businesses realize that time is money and so they are investing heavily in new technologies to streamline their back office and become more productive. These are the same companies that invest resources into becoming lean and mean in management processes, supply chain processes and any other process they have. While many companies are fine with a paper or multi-step segmented process that is slow, cumbersome and prone to errors; the future lays in automation and simplifying. In fact, companies that do this well are growing faster than their competition. 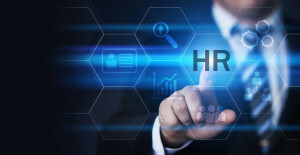 The below article highlights some of the latest trends in HR technology and this is definitely worth a read for anyone in charge of back office administration. Even CFO’s looking to gain a long term impact on their bottom line should become aware of this changing trend and embrace it. We’d like to point out trend #5 as it highlights the growing number of vendors who offer a “plug and play” approach to technology that allow simplified integration with other or already existing systems. This is really the key to it all. If you have a system capable of handling all of the issues involved in HR administrative functions then it’s great but as point #2 reminds us, user experience is key, and many “complete” HCM platforms are weak on this aspect. So, as in all things, finding the right balance among these points that suits your company is paramount. streamlinehr2016-11-10T13:55:36+00:00November 10th, 2016|Categories: Uncategorized|Comments Off on HR departments are becoming more technological, are you?